↑ "Mechanical conservation of energy / Maxwell's wheel" (PDF). PHYWE Laboratory Experiments: Physics. Retrieved 14 July 2014. ↑ "Early day motion 2048". UK Parliament. Retrieved 22 April 2013. 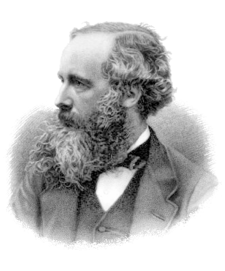 ↑ "James Clerk Maxwell". The Science Museum, London. Retrieved 22 April 2013. ↑ "Topology and Scottish mathematical physics". University of St Andrews. Retrieved 9 September 2013.